In our review of our visit to 9 Newcastle Road, we talked about the beautiful original features which were still in the house, and said that we wished we had been allowed to share some photos with you. Well, the lovely owners, apparently impressed by our enthusiasm for the house, have provided us with some EXCLUSIVE photos of the pantry door and generously allowed us to share them with you! 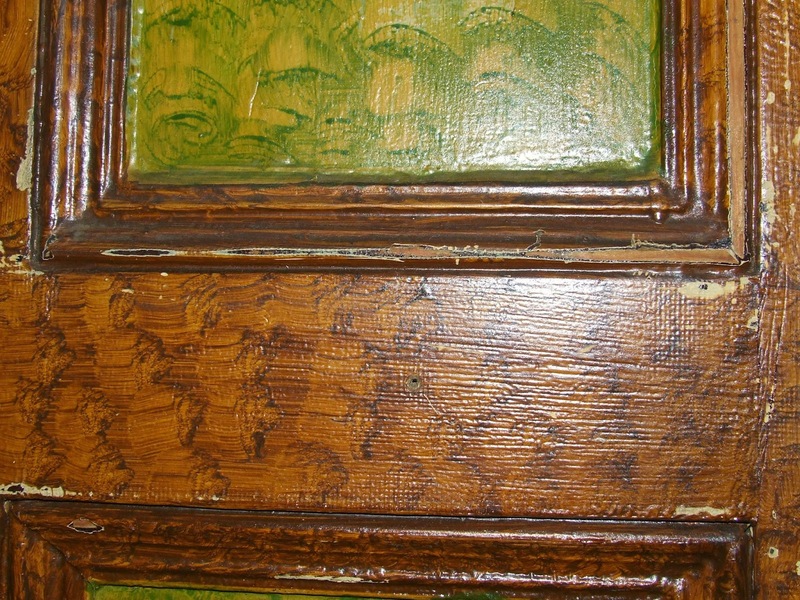 According to the owners, most of the original cupboard panelling was covered with hardboard-type wood at some point, possibly in the 1960s. 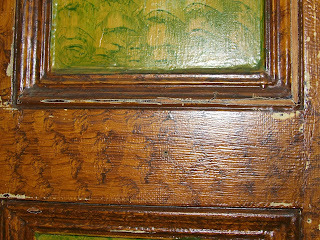 But when they removed the panelling from the pantry door, this lovely paintwork and varnishing was discovered. And who knows?? Maybe Julia did this herself! We also would like to pass on the updated details on the dimensions of the rooms in the house. When we visited, we were surprised by the size of the rooms -- they were much larger than we expected -- and found out that the modern measuring techniques used by the agents aren't always accurate. The measurements were being checked while we were there, and, in fact, we helped hold the tape measure! The dimensions listed below are now correct and verified by the BBFC! 13'2" (into bay) x 10'5"
15'2" (into alcoves) x 11'5"